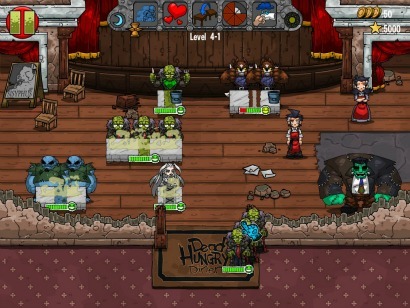 Dead Hungry Diner is a game of the 'diner dash' type, where you have various creatures such as Zombies, Skeletons, Vampires, and Werewolves who come to your 'diner' in order to eat 'brain fruit'. Your job is to make sure you seat the monsters properly, break up fights (Things like that happen if you seat vampires next to werewolves) and make sure that everyone is fed in a timely manner. Or else the monsters will rampage on the city for your failure. It comes with several levels of difficulty and several areas to feed your guests. Unlock-able upgrades, spells, and a story mode. The levels are laid out similar to any other game of its kind. You get the same monsters in the same progression, in the same order, and you score 'tips' (points) Based on how quick you serve, how happy your customers are, and how many of the same thing you can do in a row. Of course some monsters eat faster than others, choose what they want faster, or get angry faster too. Werewolves get mad VERY fast for example. So serve them first. While the Dead Hungry Diner has only a minor 'story' to it, that does not matter because in casual games 'minor' is all you need. It serves the purpose of any story, getting you from point a to point b with some entertaining moments. 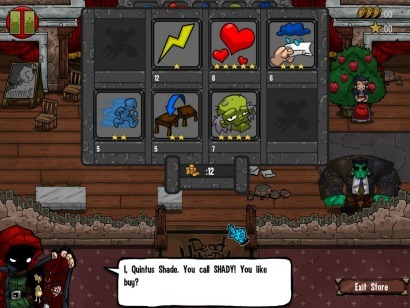 Dead Hungry Diner is more of a game for the casual gamer. It’s fun to pick up, play for a bit and set down on lunch breaks or other times. However, be careful it can be very addicting and you will end up playing far longer than you intended to. While the concept of casual games like this one is not unique, the spin on it alone made it very enjoyable for me and I am not one for casual games as a general rule. 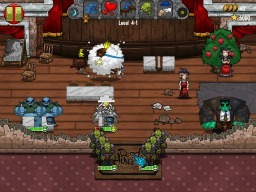 It’s available on the PC only so that is kind of a drawback; a game like this would be great for a mobile device. In addition, as I previously stated the concept of a diner-customer-service-remember-who-does-what kind of game has been done over and over. But to be honest, I would have to say I prefer playing this to the predecessors of this genre of casual game and when I picked it up for under five dollars you REALLY can't go wrong. Once I finished it, I found myself playing it again. So the replay value is pretty high, good even. Considering that it also has an 'all you can eat' mode that is essentially 'play forever sandbox' type, it seems that you could replay this game for a very long time. Big Fish Games also have many other games for the casual gamer and offer free demos so you can try it before you buy. 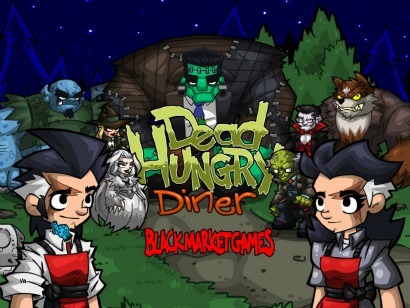 If you decide to give it a try, you can Buy Dead Hungry Diner Here!